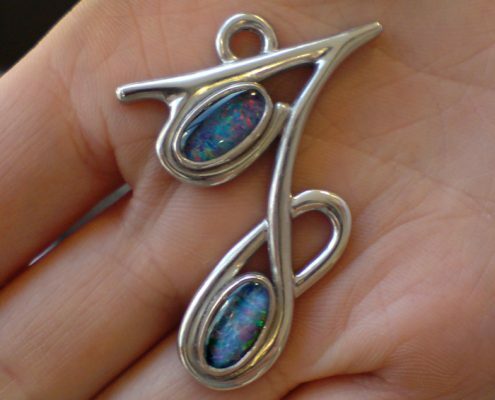 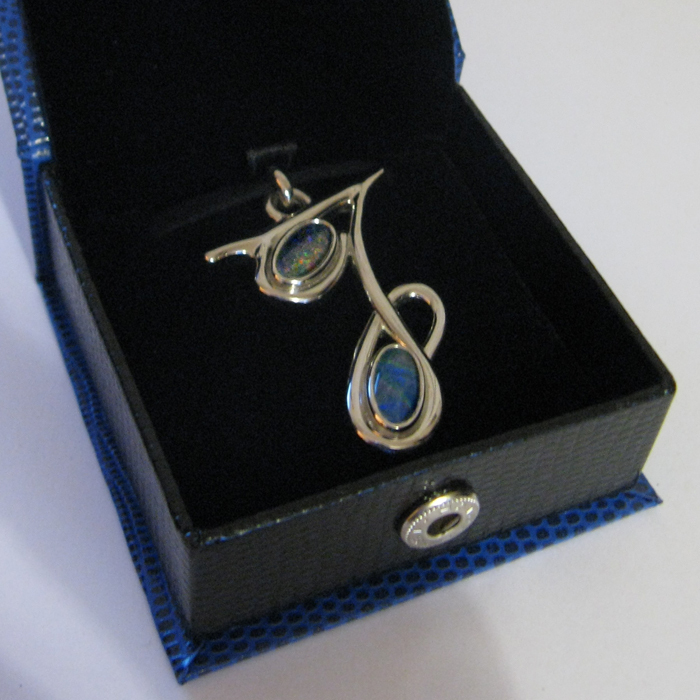 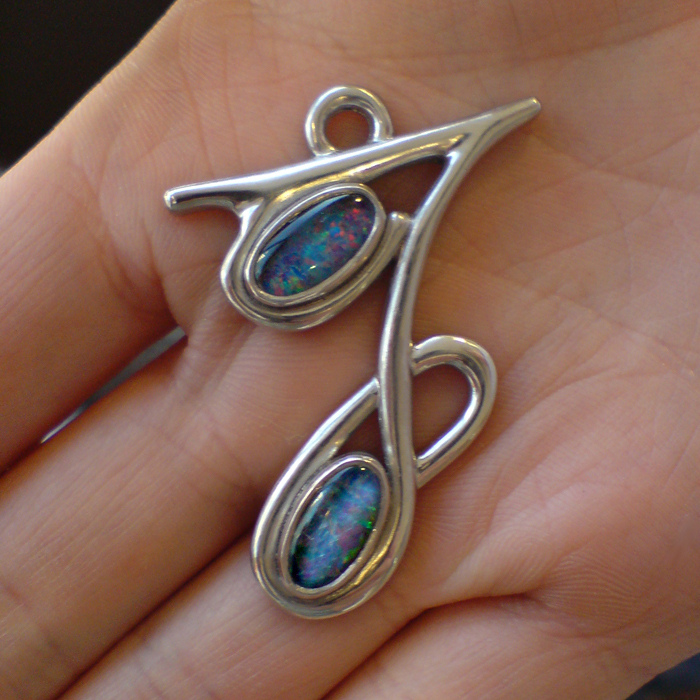 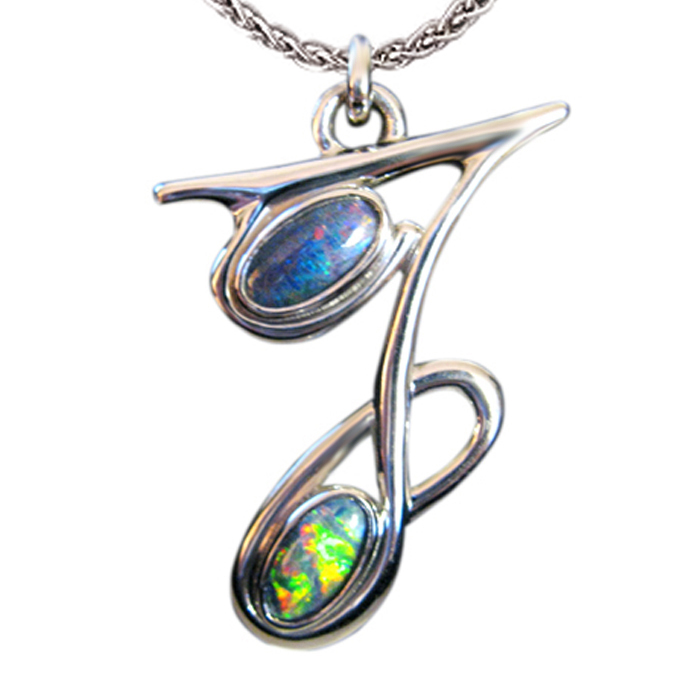 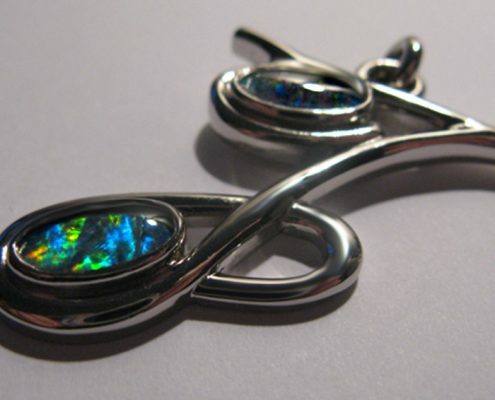 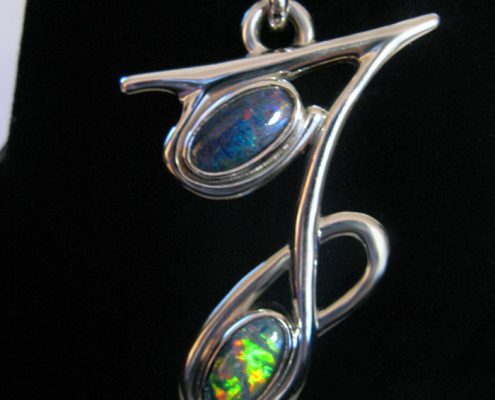 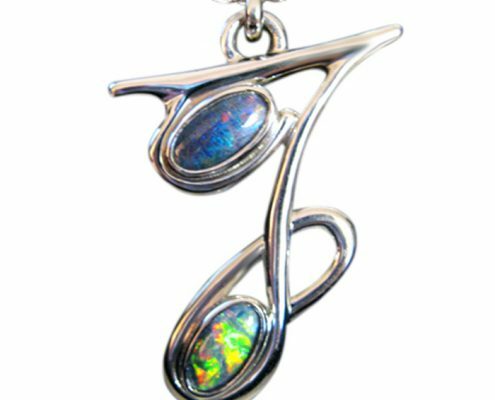 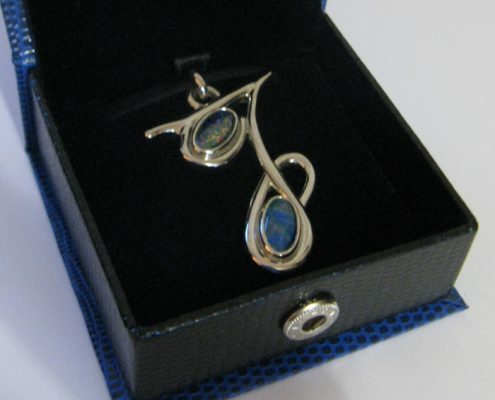 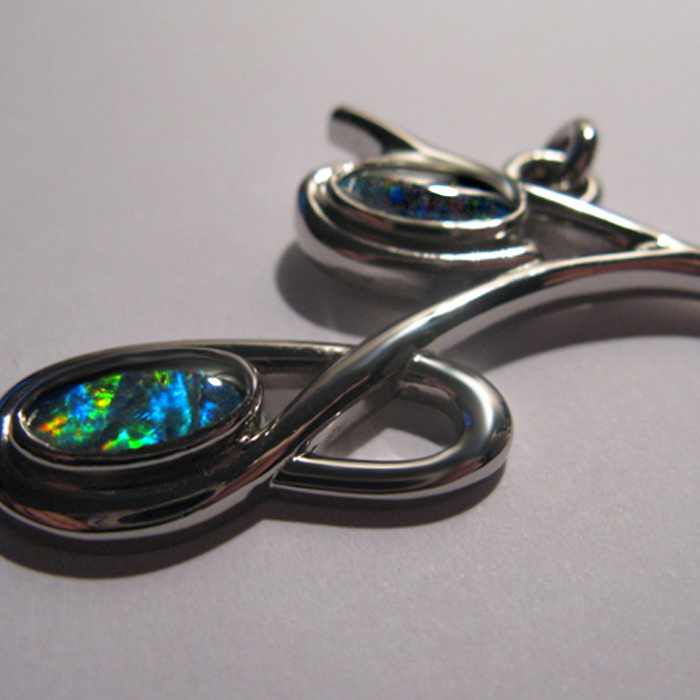 Commissioned as a birthday gift with the brief to make this beautiful Australian Boulder Opal the central feature. 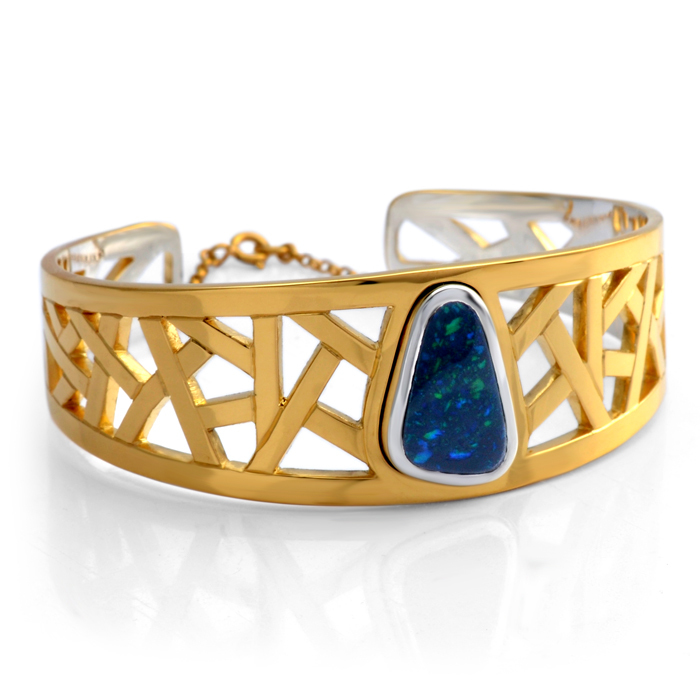 The full bezel set Opal drops into a recess within the main bangle which is two-tone yellow Gold vermeil and Silver in colour. 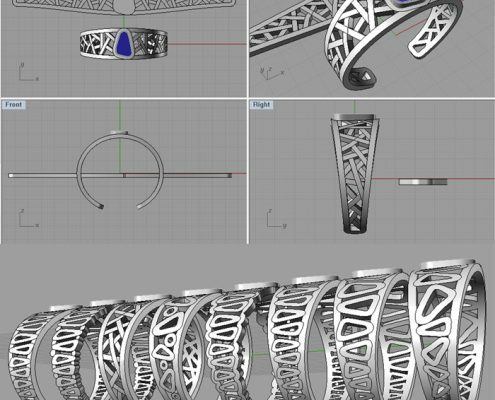 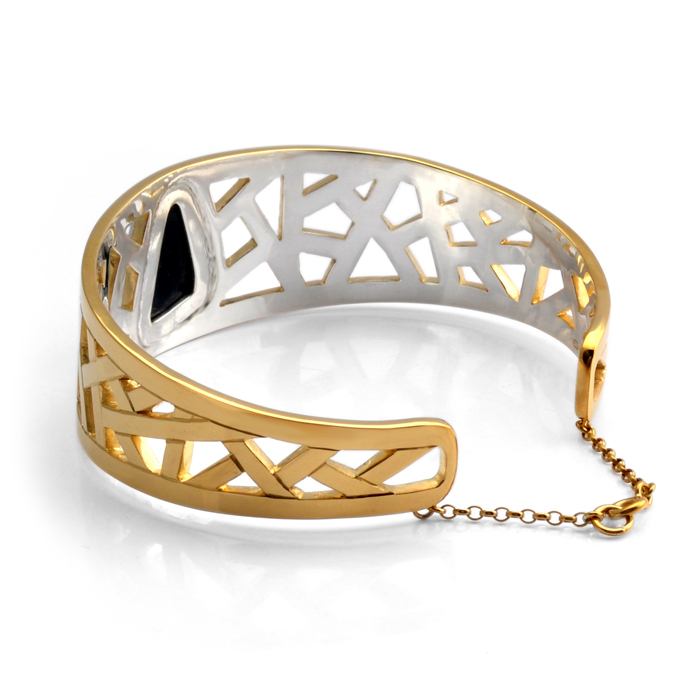 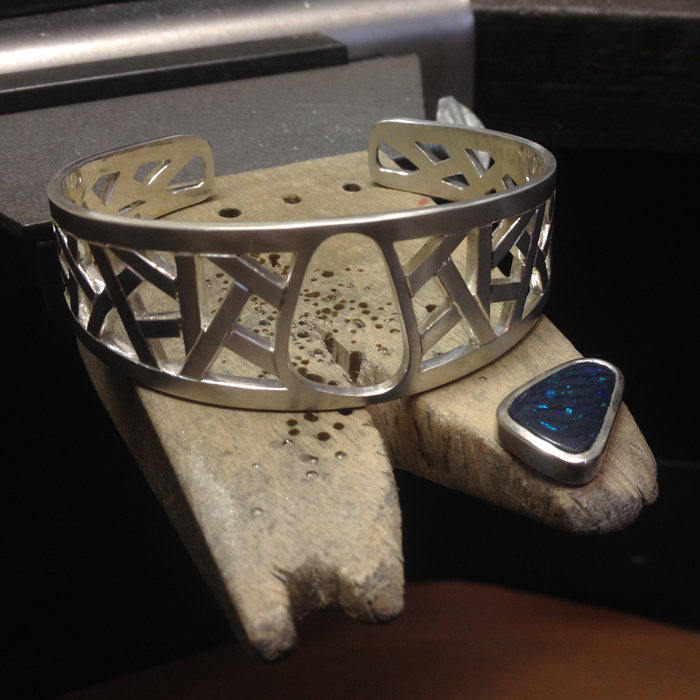 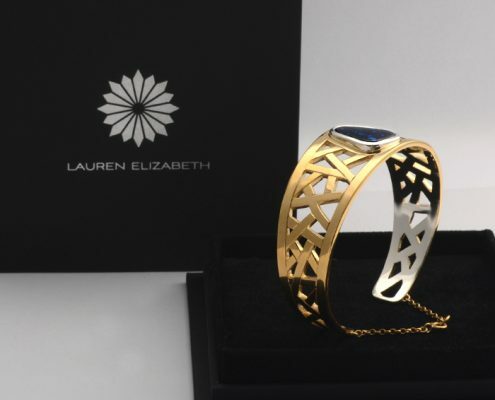 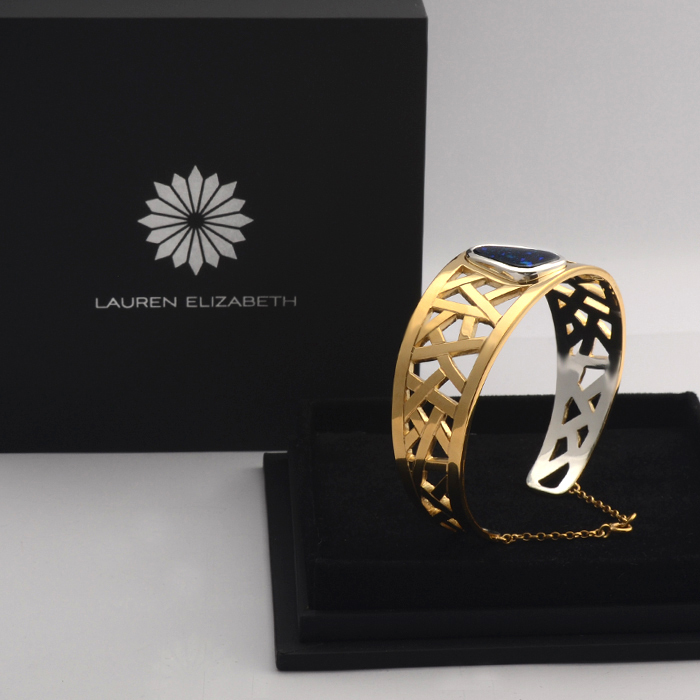 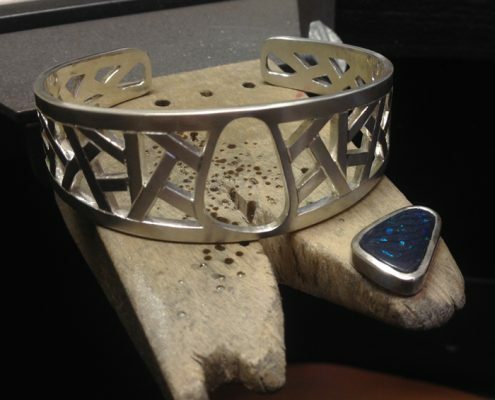 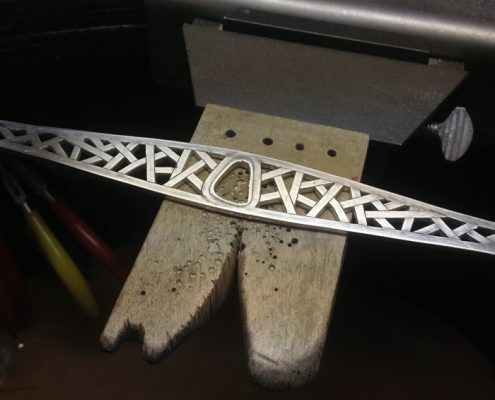 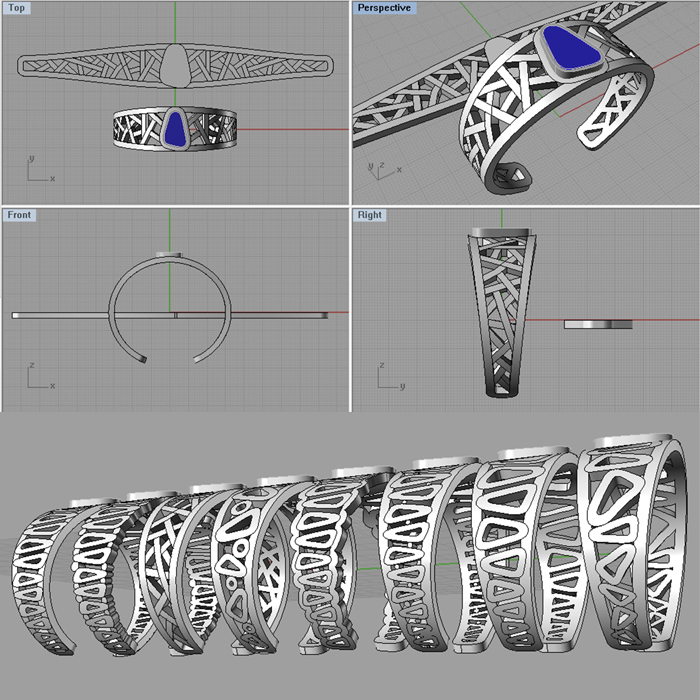 The bangle design is hand pierced with a random pattern of intersecting lines that taper elegantly around the wrist. 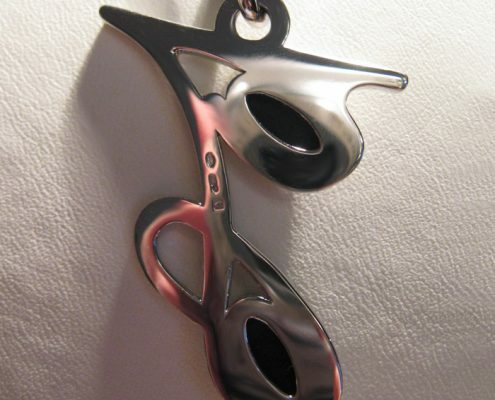 A safety chain has been added at the back of the piece for extra security. 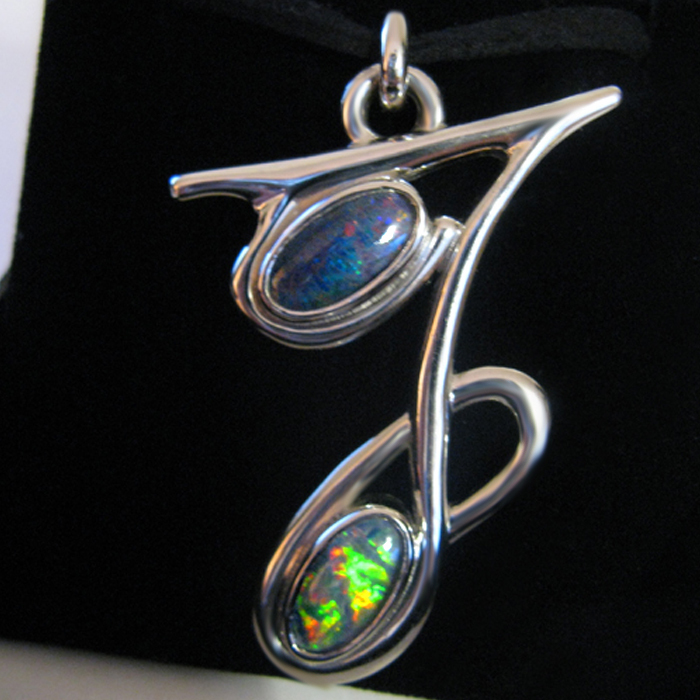 Commissioned as a birthday gift with a brief to make this beautiful Australian Boulder Opal the central feature. 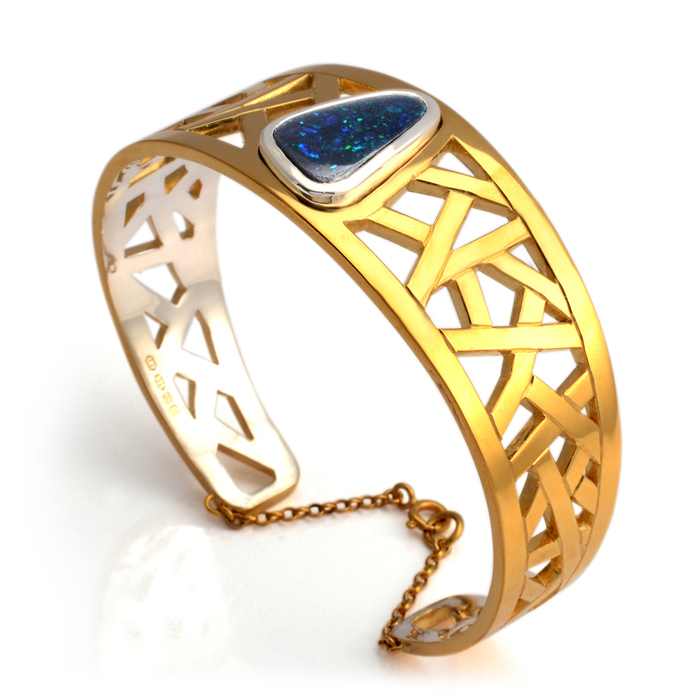 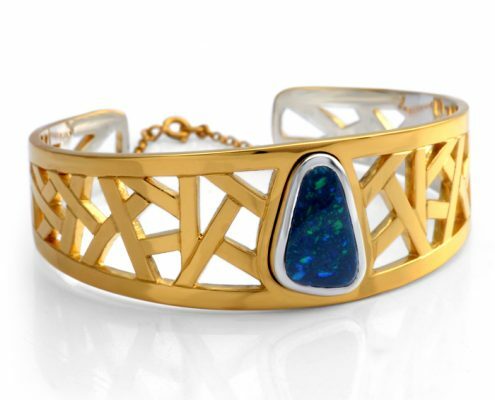 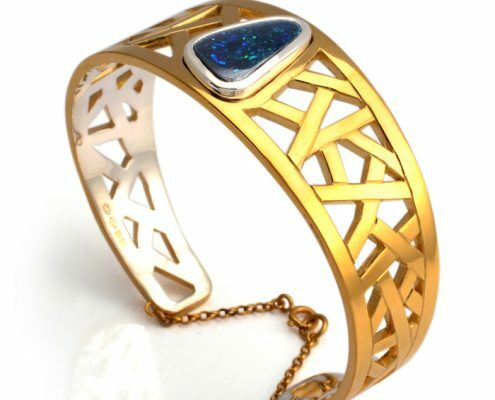 The full bezel set Opal drops into a recess with the main bangle design which is two tone yellow Gold vermeil and Silver in colour. 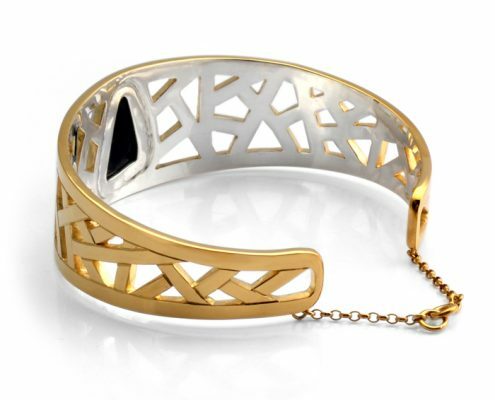 The bangle is hand pierced with a random pattern of lines that taper elegantly around the wrist. 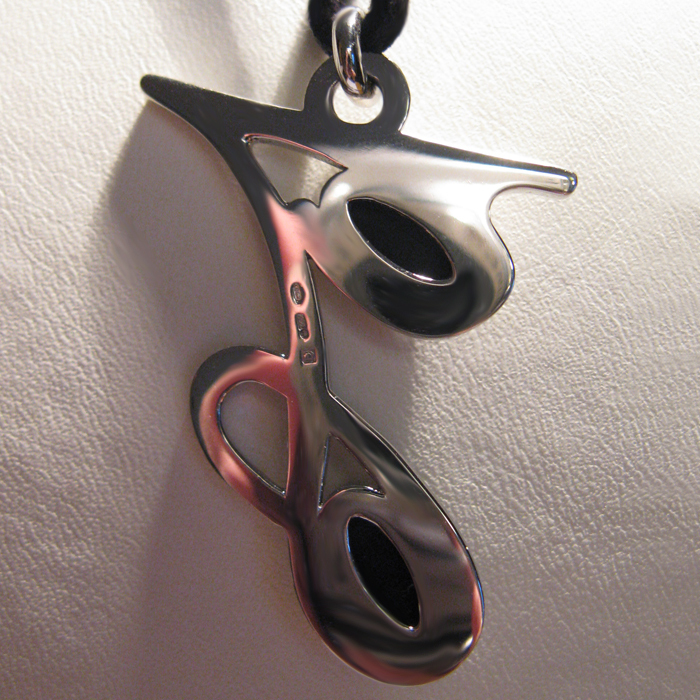 A safety chain has been added at the back for extra security.